The Strake Jesuit fan section came out to support their team. 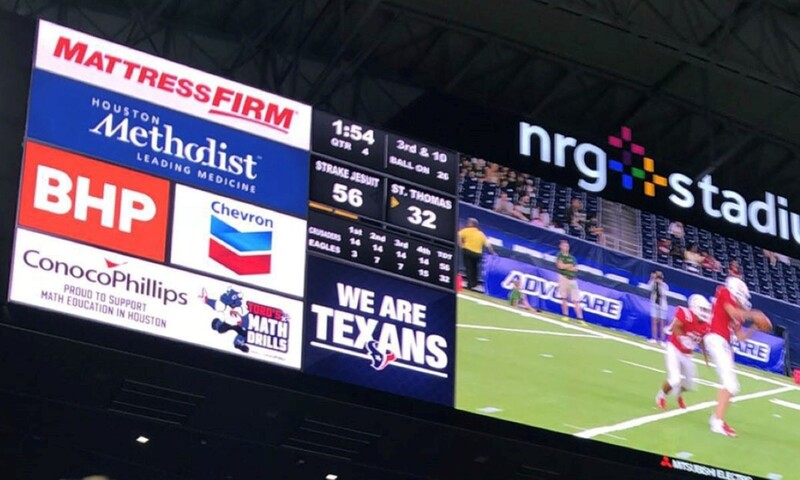 The Strake Jesuit Crusaders and the St. Thomas Eagles clashed in an NFL atmosphere at NRG Stadium on Friday, Aug. 31. The two schools had played every year for the past 45 years until last year’s Hurricane Harvey cancellation, which caused the matchup to be even more anticipated this year. Each school considers the other its biggest rival, as they are the only two all-boys Catholic high schools in Houston. Strake Jesuit was viewed as the favorite entering the game, and the Crusaders didn’t disappoint with a decisive 56-32 victory. St. Thomas struck first, but it was all Strake Jesuit after that. The score was 28-10 at halftime and 42-17 by the start of the fourth quarter. The Crusaders offense looked electric Friday night. Strake totaled close to 700 yards, with more than 200 coming from halfback Michael Wiley (3-Star Arizona commit), who broke a 97-yard touchdown run in the second quarter. The passing game also looked impressive for the Crusaders, as senior quarterback Michael Hansen completed approximately 70 percent of his passes for more than 250 yards to a number of targets, including Nathaniel Beal (3-Star Iowa State commit), Thomas Gordon (3-Star Northwestern commit) and Caleb Crawford. The scoreboard of the Strake-St. Thomas game in the fourth quarter. The fans were extremely supportive of their teams in this rivalry game. 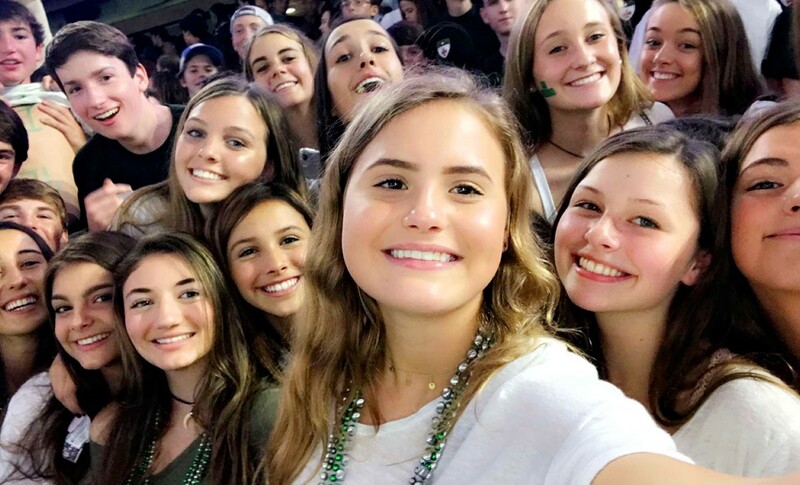 The Strake Jesuit fans filled two student sections and erupted with every big play. Even though the game was a blowout for most of the game, the crowd was still packed in the fourth quarter. Strake Jesuit is now 1-0 on the season and faceBeaumont West Brook next week. St. Thomas drops to 0-1 with the Needville Bluejays up next. The Crusaders are currently on a two-game winning streak against the Eagles after winning in 2016 and this week. However, St. Thomas still leads the all-time series and will be seeking revenge when the rivalry continues next season.